Dubai: Unlike many of the latest fanciful technology trends which remain largely untested, regulatory technology (RegTech) has already impacted businesses and governments in real ways. Since the financial crisis of 2008, the regulatory burden on financial institutions such as banks has increased exponentially. In 2016, banks paid over $42 billion (Dh154 billion) in non-compliance fees. RegTech companies have sought to solve this increasingly onerous problem through technological innovations. This year’s batch of start-ups selected by the Dubai International Financial Centre (DIFC) to participate in their 12-week financial technology (FinTech) accelerator programme reflects the rise of RegTech. The 2018 edition of the FinTech Hive features a larger pool of start-ups, which doubled to 22 this year, along with a broader scope that covers FinTech, insurance technology (InsurTech), RegTech and Islamic FinTech. Out of the 300 applications received, 50 per cent were for FinTech solutions, while the remaining 50 per cent were divided among InsurTech (20 per cent), Islamic FinTech (15 per cent) and RegTech (15 per cent). One of the RegTech companies participating this year is Blinking. “We allow end users to store their data and then share their data with any other entity when it is required, in a GDPR-compliant manner,” said Mohammad Shahid Khan, Blinking’s vice president for the Middle East and North Africa. The General Data Protection Regulation, or GDPR as it’s known, was enacted by the European Union in May of this year. Experts have called it the most comprehensive data privacy law in history, and a regulation that is intended to tackle the many nuances and pitfalls of the digital age. The maximum fine for breaking the rules set out in the GDPR is either €20 million (Dh84 million), or four per cent of the company’s global turnover, whichever is higher. This could potentially run in to the billions of euros for some firms. One of the stipulations of the law is that users must be able to access their data at any time, while companies must properly store the data in a safe and orderly manner. Blinking says it is assisting companies to comply with this rule. Working with banks and other government entities in Serbia, Blinking allows users to create a verified digital identification that can then be used by companies to identify the customer in a matter of seconds. “It’s a business to business offering, and we work with banking consortiums. That’s why we use blockchain,” Khan said. The company currently has five banking clients in Serbia, allowing the customers of one bank to share it digitally, via the blockchain, with a second bank. Verismart is another RegTech start-up that joined this year’s DIFC FinTech Hive programme. The company uses artificial intelligence to automate ‘know your customer’ (KYC) processes. KYC forms a central part of banking compliance, as financial institutions seek to ensure their services are not used for activities such as money laundering. “We build a trust code for institutions and individuals. 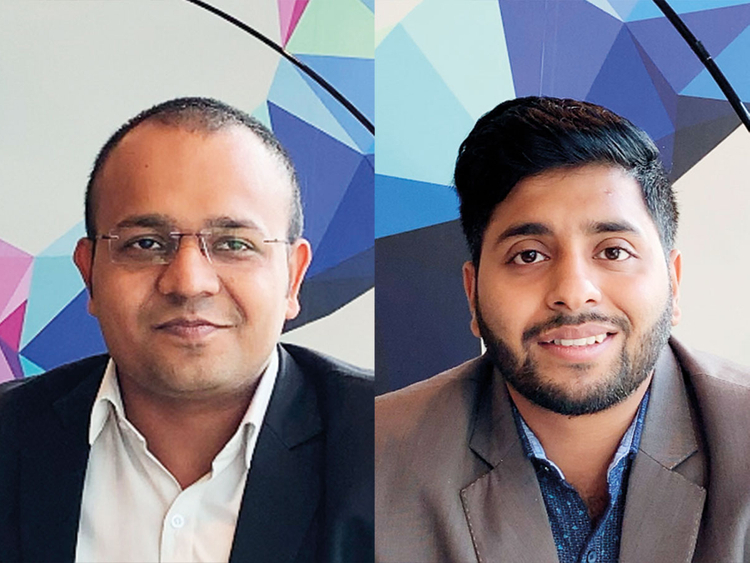 We capture multiple data points, including financial and social points, and make a trust code,” said Piyush Gupta, Verismart’s head of operations. The strength of this verification enables services such as instant lending and cross-boarder money transactions. “In our first phase, we’re partnering with financial institutions and telecoms in the US, the UAE, and India,” Gupta added. According to the executive, the companies wants to create a syndicated blockchain network from their customers, with a future expansion to the likes of Uber and Airbnb in mind. There’s a lot of opportunity in the UAE, according to Gupta. “The country is targeting Expo 2020, and they’re working fearlessly on blockchain. They’ve welcomed us,” he said. “Because of the FinTech Hive, we’ve reduced our timeline from six months to two months,” Gupta added.